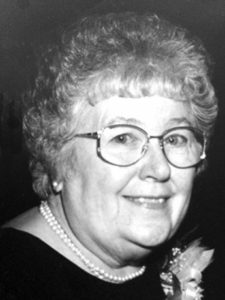 Eleanore May Darga, 87, of Pulawski Township passed away peacefully at Evergreen AFC Home March 3, 2018. She was born May 31, 1930 in Rogers City to Earl and Amanda (Haneckow) Tulgetske. On June 25, 1949 she married Stanley Darga at St. Ignatius Catholic Church in Rogers City and then moved to Flint where they raised their family. She was an award-winning quilt maker; she also enjoyed crocheting and knitting. Eleanore was a true Proverbs 31 woman. and two brothers, Milton (Ann) Tulgetske of Otisville and Wilfred Tulgetske of Oklahoma. She was preceded in death by her parents, Earl and Amanda; a daughter, Jennifer; and three brothers, Marvin, Earl Jr. and Lloyd. the Rev. Arthur Duchnowicz officiating. Interment will take place at St. Casimir Catholic Cemetery. Memorials may be given in memory of Eleanore Darga to Hospice of Michigan. Online condolences may be addressed through www.beckfuneralhome.org.